"Derby shoes are the slightly less formal brother of Oxfords, perfect to transition from formal to business casual without raising eyebrows. These come with an extra dose of life hack: the lightest, most comfortable soles you’ll ever wear. You’re likely to find yourself skipping about in them." 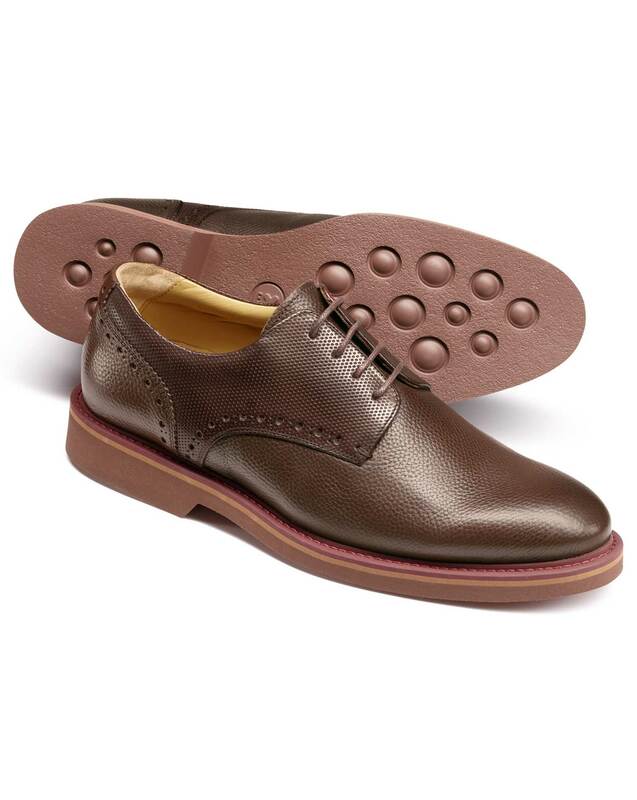 "Classic leather Derby shoes with extra lightweight rubber soles for day-long comfort." Light rubber soles makes these shoes light as feathers, adding a layer of comfort and freedom to your walk. We work hard to make our shoes even more comfortable to wear from the get-go. They include soft, flexible, full grain calf leather, memory foam foot beds and breathable leather linings to add odour and moisture control. The biggest change comes from the sole itself which is now fully flexible. It has added moulded internal cushioning, and a heel which is moulded too AND shock absorbing. We think you’ll feel the difference from the moment you slip them on till the minute they come off. Great quality. Just as described.